Spring is busting out all over! That means lots of fun activities this month. Check our calendar for all the exciting Easter events we are hosting. 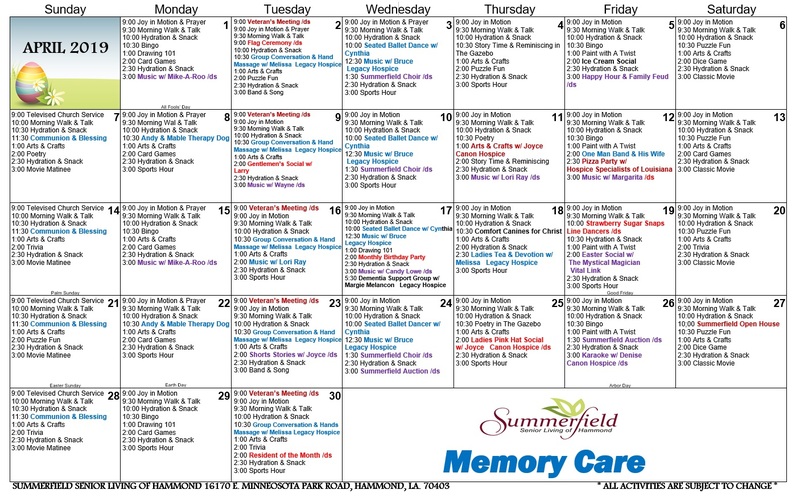 But there are many other exciting opportunities for our residents to socialize throughout the month.